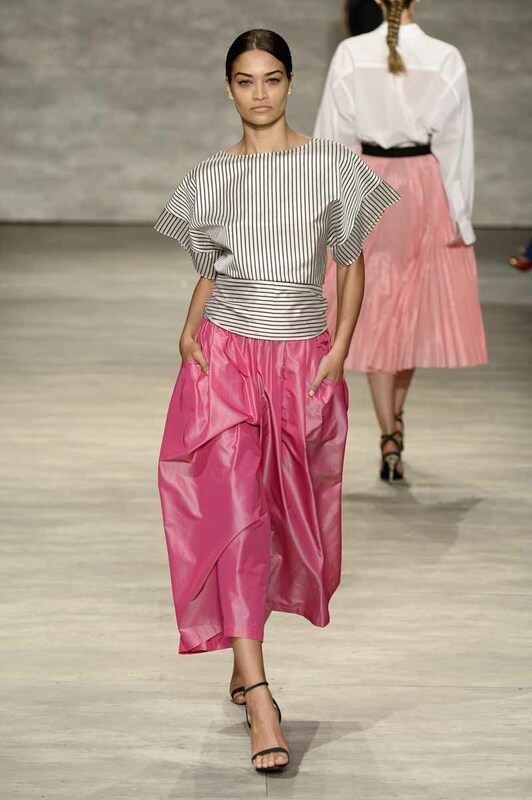 NEW YORK, Sep 7, 2014/ — From the press notes: Ramon Martin and Ryan Lobo are the design duo behind TOME. Ramon Martin: After holding many prestigious design posts, Ramon finally settled in New York in 2007, securing the role of Design director at Derek Lam. In 2002, after winning the international design competition Mitelmoda, he left Sydney for London and worked in VM for Dunhill. Following this his European employers included Alberta Ferretti where he was a designer on both the main line and Philosophy – Ferretti’s secondary line. While in Italy, he was offered a design position at Jean Paul Gaultier, moved to Paris, and was exposed to the antiquated inner workings of the Haute Couture atelier. He also consulted for various brands within Europe and Asia gaining experience with production in both markets. He continues to consult for brands in the USA. Ryan Lobo: Currently a freelance stylist and design consultant, Ryan Lobo has spent over 15 years in fashion. He has traveled to the world’s fashion capitals as buyer for leading Sydney luxury multi-brand stores, first at Robby Ingham Stores, and then for Belinda and The Corner Shop. He contributed to progressive online magazine pagesonline.com for many years and became Editor in chief in 2007, holding the post for three years. His work has been published in OYSTER, Marie Claire and The Sunday Times and he has styled fashion shows for the likes of Camilla and Marc, Antipodium and TV, as well as clients like Next Top Model, and personalities including Miranda Kerr, Natalie Imbruglia and Ruby Rose.